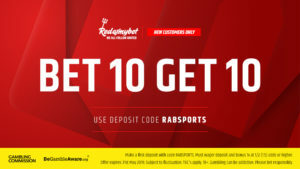 RedArmyBet looks ahead to the Coral Tour Championship with all the snooker betting tips and enhanced odds. The Coral Tour Championships get underway this week in Llandudno and fresh from his success in The Players Championship Ronnie O’Sullivan will be looking to bag another win. The new tournament is the culmination of the Coral Snooker Series with only the leading players on the planet according to the 2018/19 season rankings in with a shout of taking the top prize of £150,000 in the ITV – televised event. This is the third leg of the coveted triple crown the Coral Tour Championship with both Ronnie O’Sullivan and Judd Trump taking the spoils in the first two events with O’Sullivan claiming the Players Championship in style by securing his 1000th century break in the final at Preston and will no doubt be fresh following a two-week break. By sitting out the Champions League and the Gibraltar Open O’Sullivan will no doubt be hungry to add to his success at The Guild Hall, which was completed with a convincing 10-4 win over Neil Robertson, and comes into the tournament as 2.35* favourite ahead of his First-Round tie with Stuart Bingham on Tuesday. 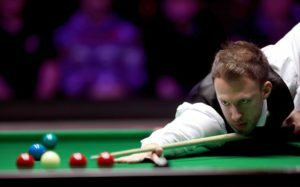 Judd Trump has already won the World Grand Prix this year as well as the Masters and the 29-year-old is seeded third for this week’s Tour Championship which sees him begin with a tricky looking game against World Champion Mark Williams. Trump has an impressive record against his opponent, with a 15-6 record over the Welshman from their 21 previous meetings, though Williams did beat Trump 6-1 in their last meeting at the German Masters in 2018, and such is the nature of the draw, Trump could face O’Sullivan in a mouth-watering Semi Final and is 4.85* to go all the way and take the spoils. Despite losing to Ronnie O’Sullivan in the final of the Players Championship in Preston Australian Neil Robertson has impressed so far this season and could go well again here having won the Welsh Open in February, though the 37-year-old was far from at his best in the Championship League last week going down 3-0 to Jack Lisowski in the semi-finals. The only problem for Robertson is that if he is to win in Llandudno he’ll have to overcome current World Number One Mark Selby, who himself boasts an impressive record against his opponent going into their tie on Tuesday. Selby has beaten his opponent 18 times in their 30 competitive meetings to date having suffered defeat on 11 occasions and the smart money might be on the Englishman to progress in this one and is currently 6.65* to take the title. The Coral Championships begins on Tuesday March 19th on ITV with the final taking place on Sunday 24th.